IrishAmericanJournal.com: What Foods did the Irish Eat in Old New Orleans? What Foods did the Irish Eat in Old New Orleans? What foods did the Irish eat in New Orleans after they emigrated to that major port city on the Mississippi River? The Irish had been coming to New Orleans, Louisiana from the city's earliest days since the 1700s. But they came sporadically, and the early immigrants had some means in that city which was originally controlled by France. They were not poor and uneducated. The French city changed hands, going to Spain and then back to France. Napoleon Bonaparte gave it to the United States under the Louisiana Purchase in 1803 when Thomas Jefferson was president. Unlike the rest of the American South which was mainly Anglo-Saxon and Protestant, New Orleans was Catholic -- as was south Louisiana in the French Cajun country. As a major port New Orleans attracted people from around the world. French, Spanish, African (most held as enslaved persons, although there were some Freemen-of-Color and Freewomen-of-Color), Native American Choctaws, Germans, Italians, all made up the multi-cultural gumbo that was New Orleans. But there was another group of immigrants who came en masse. 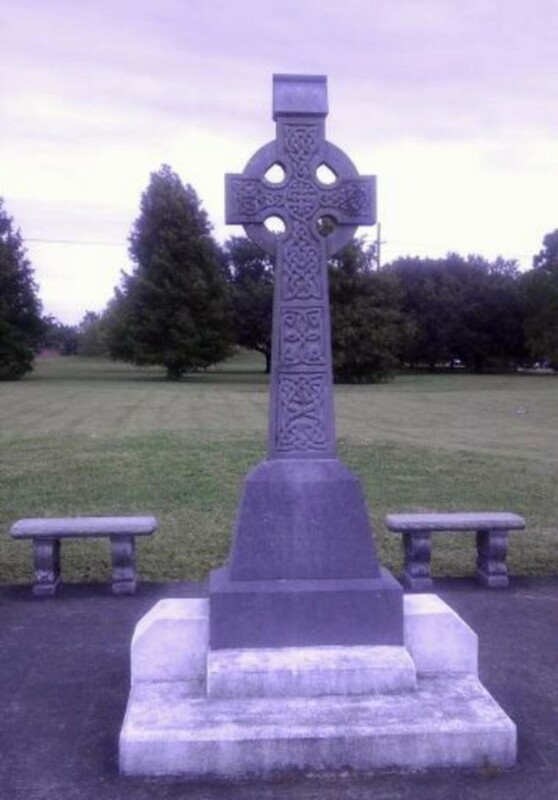 The Irish, and mainly Irish Catholics, came again to New Orleans in the 1830s through the 1850s. These Irish were different from the few Irish who had arrived earlier. These Irish were mainly poor and uneducated. They came in the 1830s seeking political freedom from oppression in their homeland which was occupied by Britain, and they came for work to survive. These Irish were typically discriminated against in work with signs like "No Irish Need Apply" -- a common thing in the major cities on the US East coast. The living conditions for these Irish workers was atrocious. They had no medical care to speak of and very poor food as they were several miles from the central city. The only supplies they got were from the company store which took advantage of them and had inadequate cooking facilities. 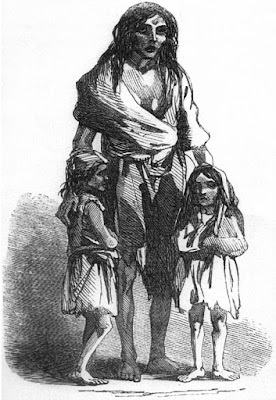 Another wave of Irish immigrants came during the Great Hunger or Potato Famine from 1845 to about 1850. (Read more about this at my article on Coffin Ships.) A million Irish people starved to death when the potato blighted, despite the fact that there were other types of food in Ireland besides potatoes. But all the food and the lands were controlled by the British who let the Irish starve to death or flee Ireland, mainly for America, in dangerous and disease-filled Coffin Ships. We should be thankful always for the food we have today when we consider how our ancestors suffered horribly and died by the thousands upon thousands in those horrible days. 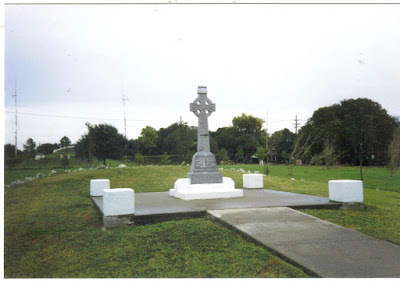 These Famine Irish immigrants were not discriminated against because of religion, as New Orleans was a Catholic city historically; but they were nevertheless considered outcasts by both the old established Creoles (descendants of the French and the Spanish) and the newer Anglo-Americans who came after the Louisiana Purchase. By the time of the 1850s, a notorious group of bigots called the Know Nothings actively discriminated against the Irish and were involved in political movements to suppress Irish immigration. With the American Civil War, Irish immigration to the city reduced and more and more Irish arrived in Northern ports like New York, Philadelphia, and Boston. Yes, all of this history is quite interesting; but since we are talking about New Orleans, a city where food is practically a religious experience, the question remains: What did the Irish eat? What foods did they cook at home? 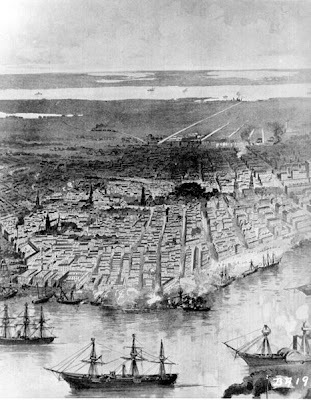 Most of the early Irish in New Orleans lived in a neighborhood near the Mississippi River called The Irish Channel a few miles up the river from the Vieux Carre or French Quarter which was the heart of the city. Originally, it was outside of the city limits and was a poor neighborhood or a working class neighborhood. No one really knows how it got its name. Some suggested when it rained, the poor drainage made the steets there resemble water channels. Others said the Irish were "channelled" into that area -- new Irish simply followed where earlier Irish immigrants stayed. Still another explanation was that as immigrants arrived by river boat on the Mississippi, they went down a side waterway, or channel, into that neighborhood. But, no one really knows. It had shotgun houses (a unique style of small houses in New Orleans which were long and thin) and a number of rough-house bars -- one was called the "Bucket of Blood." (You get the idea.) Yes, on the waterfront, with lots a bars, drinking, and a few fist fights. Like something right out of a play by Eugene O'Neill. The neighborhood was mainly Irish then but had people from other ethnic groups living there too. They did not always get along. Today the neighborhood is no longer mainly Irish, but is African-American and Hispanic. But the history of the Irish is remembered very well by, among other things, a popular St. Patrick's Day parade which still goes down Magazine Street. But the Irish Channel also had a very fine Catholic church called St. Alphonsus, which is still there. The Irish went to it. The German immigrants went to St. Mary's Church which was across the street (and still is), and the French went to Notre Dame church which was down the block a bit (but is no longer there). The book I mentioned above is called "Gumbo Ya Ya: Folktales of Louisiana," complied by Lyle Saxon, et al. The name is a reference to a French Louisiana term for a type of "coffee klatch" (Kaffeeklatsch) where people get together socially, have coffee and nice conversation and everybody talks at the same time. There on page 61, I discovered my long-sought answer which discussed the Irish Channel neighborhood in the old days. The chapter on the Irish Channel said the Irish had large families and ate healthy but simple food. 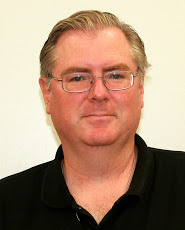 The book said that Irish in the Channel, as it is often called for short, ate "... stews, corned beef and cabbage, potato pancakes, red beans and rice ... during most of the week." The book went on to say that on Sundays, people -- if they had the money -- would eat roast chicken or turkey. Some pretentious people would sometimes put a turkey near the home's front window so the neighbors would notice the bird and be impressed. Other poorer people would pretend that they had enough money to buy turkey by sticking turkey feathers -- which they may have found in a garbage can or acquired somehow -- halfway into a shopping bag so that the neighbors could see the feathers as they carried the bag home (which actually contained no turkey). They had to keep up appearances. Now as to the foods. I have earlier written about most of these. 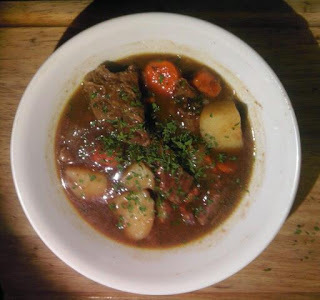 You can find my article on Irish Stew here. 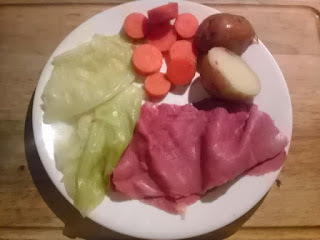 You can find my article on Corned Beef and Cabbage here. 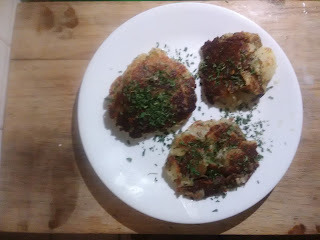 And you can find my article on Irish Potato Cakes here. They are sort of like potato pancakes. 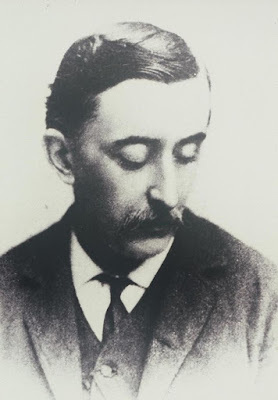 And, by the way, I earlier wrote about the Irishman, Lafcadio Hearn, who wrote the very first New Orleans Creole Cookbook that was ever published in the English language. The others were in French. In his book he gave recipes for Irish Stew and Stewed Irish Potatoes, which he said was a breakfast dish. His Irish Stew mainly consists simply of mutton or beef, potatoes, onions, stewed down with water and served with rice. (Rice is to New Orleans what potatoes are to Ireland.) See Hearn's book, La Cuisine Creole. This leave us with just one last stone to turn over. What is traditional New Orleans Creole Red Beans and Rice? Ah, this is the sacred cow of New Orleans food. Although the Crescent City is famous for many wonderful dishes like jambalaya, gumbo, muffulettas, fried shrimp po-boys, Crawfish Etouffee, fried catfish, Shrimp Creole, Stuffed Artichoke, and on and on ... the most essential New Orleans dish is Red Beans and Rice. It is eaten by the wealthy, the poor, and everybody in between. There are as many ways to make it as there are cooks in New Orleans. 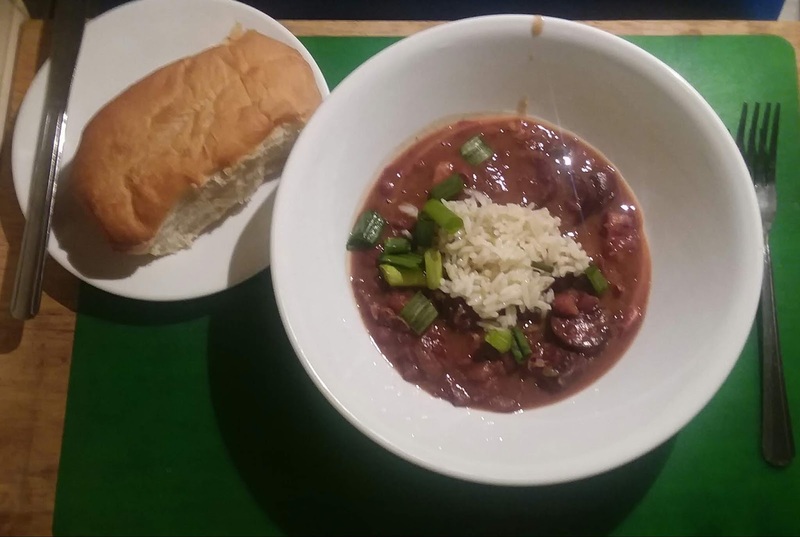 But mainly it consists of red kidney beans; white rice; "The Trinity," which in New Orleans is green pepper, onion, and celery; garlic (of course! ), and unless vegetarian, some type of meat, such as sausage, ham, or pickle meat (a type of Creole seasoned pork). I never give precise recipes because I think people should concoct their own based on their own likes and needs, but I do give a general idea. Here is my general idea on my version of New Orleans Red Beans and Rice, which would have been and still is a popular meal in the homes of all people from New Orleans including the Irish. Get some dry red beans and sort them, removing any foreign debris, then soak them in a bowl of water for about an hour or more, even over night if desired. This removes some of the gas. Then drain and toss out the old water. Put the beans in a pot on the stove (or use a slow cooker) and add chopped up Trinity -- green pepper, also called bell pepper, onions, and celery. 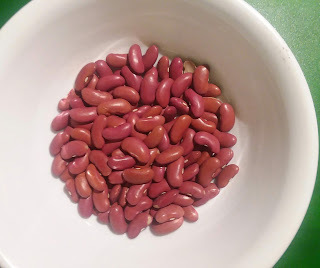 Add enough fresh water to cover this, usually about six to eight cups of water per pound of beans. Add Creole spice. If you do not have this, try mixing salt, black pepper, a little bit of cayenne (not much because it is hot), garlic powder, onion powder, parsley flakes, and paprika. You may add some butter optionally. Then add, precooked, the meat you wish. I use chunks of ham and sliced Andouille sausage, a type of Creole French sausage. Can you add Irish sausage and Irish bacon? Yes, of course, why not? It is your recipe. Bring it all to a boil, then set the fire on low. Cover the pot and cook for about two hours or more on low. Smash up some of the red beans with a spoon on the inside of the pot to thicken the juice. Add water as needed. Be sure to stir now and then to prevent sticking. Serve it with chopped green onions on top in individual bowls. Have French bread on the side or corn bread. Or Irish Soda Bread. See my article on that here. And there you have it. That is what the Irish ate in New Orleans, and they still do the same today. I eat these things on a regular basis. Wikipedia article on Irish Channel, New Orleans; La Cuisine Creole by Lafcadio Hearn, Pelican Publishing Co. 1967; Gumbo Ya Ya: Folktales of Louisiana by Lyle Saxon, Robert Tallant, et al. 1945, 1987. Pelican Publishing.